Today, I’ve got a short little article about new sodas from the Jones Soda Company. I know, everyone has already reviewed these. I’m the last to do it. So, if you want to see other reviews check out X-Entertainment or I-Mockery. 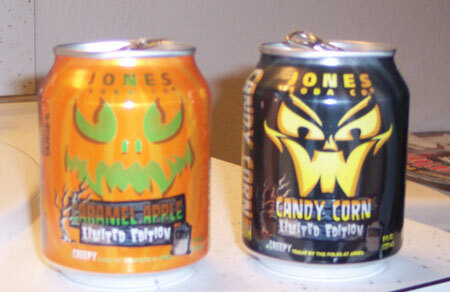 There are four new Halloween Edition Sodas from Jones Soda. They are exclusive to Target Stores too, so that’s the only place you can find them. They’re in half soda cans. I looked at my local Target, and found only 2 of the four. They are the 2 most Halloween like anyway. So, I will review them. The four sodas available are: Scary Berry Lemonade, Strawberry S’Lime, Candy Corn & Carmel Apple. The 2 sodas that I found and will review are Candy Corn & Carmel Apple. Lets take a look. There’s the 2 cans. Very spooky looking. If you can say that. They say limited Edition, so get them while you can. But if they’re as popular as the Jones Soda’s Thanksgiving Sodas, then they’ll be back next year. If you don’t know about the Thanksgiving soda, they have had Turkey & Gravy Soda along with other thanksgiving side items. 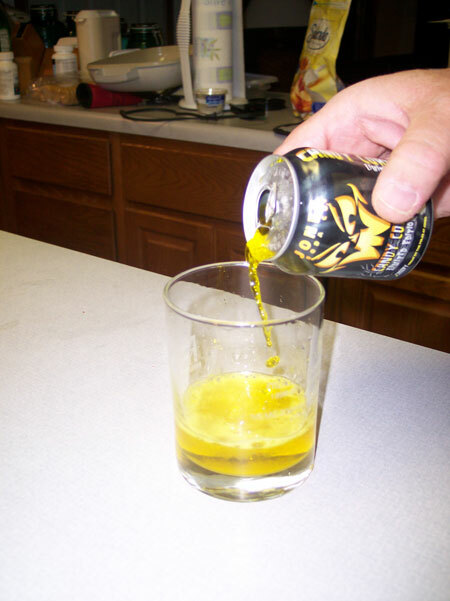 Okay, lets pour some soda and taste it. 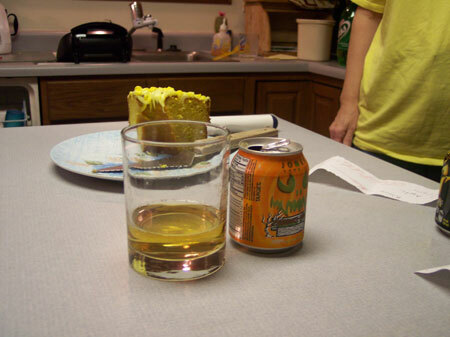 Above is the Candy Corn soda. It looks exactly like pee. 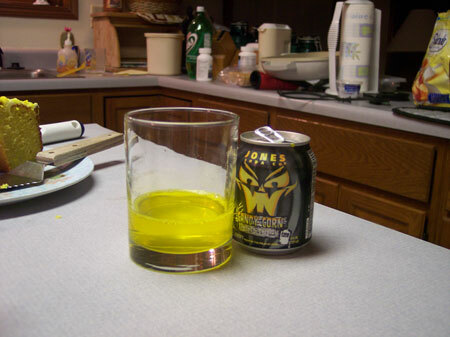 Well, it looks like pee if you swallowed some neon yellow crayons. It looks like it would react perfectly to a blacklight. I didn’t test it out, but you can only imagine. There’s what it looks like. It doesn’t look as crazy neon color like the candy corn. I thought this one was much better than the Candy Corn. It tasted like apple juice with a hint of carmel. It’s really hard to taste the carmel, but it’s more like apple juice than a soda. It doesn’t seem carbonated the same as regular soda. So, there it is. Sorry for the short article. 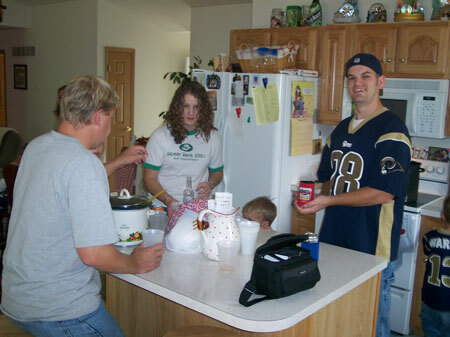 Me and Jeff are working on our Haunted house. I’m documenting as much as I can. It’s going to be great.